What’s New at Mid-State Litho? Check it out now! 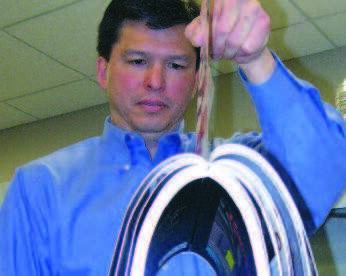 Variable PUR Perfect Binding in a Compact Footprint from Mid-State Litho Inc.Standard Horizon’s newest perfect binder is specially designed to handle the unique requirements of digital print – with digital print friendly processing, quick set-up and changeover for shorter production runs, book-of-one capability, and even in-line verification for document integrity. The BQ-280 also uses environmentally-friendly PUR glue which meets the requirements of Lay-Flat binding for both offset and digital prints as well as coated stock. Easily handles the production of digitally printed books, personalized photo books, smaller sample runs, and other ultra short-run work!Watch a Product Video now!Or, call 810-238-7370 to arrange a personal demonstration in your area. 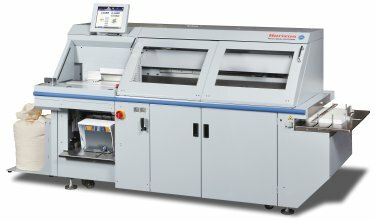 Book-of-one production capability with single-person operation – designed specifically for short-run, high quality PUR binding! Features fully automated set-up and sensor-activated digital caliper system for consistent measurement of book block thickness. Handles extended spine length up to 15.5″. Production speeds up to 400 books/hour! Mid-State Litho Inc., 5459 Fenton Road, Flint, MI 48507-4021 If you no longer wish to receive messages from this sender, please reply to this email with the word ‘Unsubscribe’ in the subject line. This entry was posted in Book Binding, Print Finishing and tagged Book Binding, Horizon, Perfect Binding, Print Finishing, Standard Finishing on September 13, 2013 by MSL. Clam Shell Cube Mailer with Cootie-Catcher. Trish Witkowski shares her super cool folding samples and helpful production tips. This entry was posted in Book Binding, Print Finishing and tagged Book Binding, Finishing Systems, Fold Factory, Print Finishing, Standard on March 22, 2013 by MSL.